Currently viewing the tag: "3-free"
Julep’s September Collection is called “Cityscape,” and it’s full of beautiful skyline inspired colors, which are perfect for transitioning into fall. 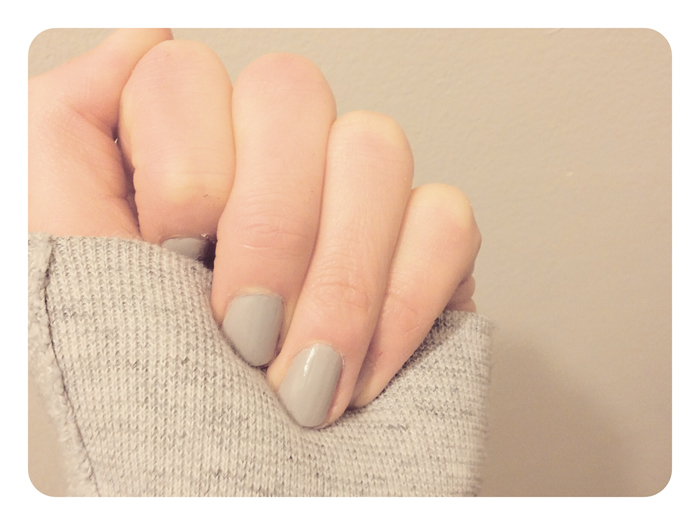 I am typically a “Boho Glam” girl, but this month I went for the “Bombshell” box because it featured a lovely slate grey creme polish. I normally don’t pick any “add ons,” even with their deeply discounted pricing, but this month I chose one more polish and Julep’s new Konjac Cleansing Sponge. One of Cityscape’s featured beauty products is Bare Face Cleansing Oil, which is an oil-based facial cleanser that you apply dry and then rinse with warm water. This product was included in all of September’s Maven boxes, and while I no longer regularly wash my face, I decided to give it a try. I used some of my Julep points to cover the add-on cost of the konjac sponge. The Konjac sponge appealed to me for a couple different reasons. The shape makes it easy to hold and use, and the sponge is made from natural plant-based material with added charcoal. The product description said that it’s gentle enough for everyday use, which for me means it’s safe to use every other day or so in the shower. I was also drawn to it because as an anime-obsessed teenager, I went through a brief obsession with Japanese beauty products. I’ve been using the sponge during every other morning shower, and a small amount of the cleanser every night before bed. One or two pumps does the trick for me, as I don’t typically wear makeup. In the winter, I’ll likely be adding a BB Cream or tinted moisturizer to my routine, so I’ll probably end up increasing the amount of cleanser I use. It’s supposed to be great for makeup removal. It’s been a week and a half since I started using these products, and my ultra-sensitive skin hasn’t yet broken out, so I think I’m safe to continue! The cleanser is seriously a treat. It’s made with grapeseed oil, olive oil, vitamin E, and rosehip seed oil, and it smells divine. Julep’s site recommends using the sponge in conjunction with the cleanser, but I’ve been enjoying using it in the shower on its own. It’s a soothing process to wake up to, and my face always feels great. I was originally going to completely skip over the September Maven box, but I’m so glad that I didn’t. If you’re interested in becoming a Julep Maven and receiving two new polishes every month, feel free to sign up using my referral link. I’d really appreciate it! Julep is a great company, and I fall more in love with them every month. Their nailpolishes are free of toxins and none of their products are animal-tested. I mentioned last week that I received my starter box from Julep’s Maven program. 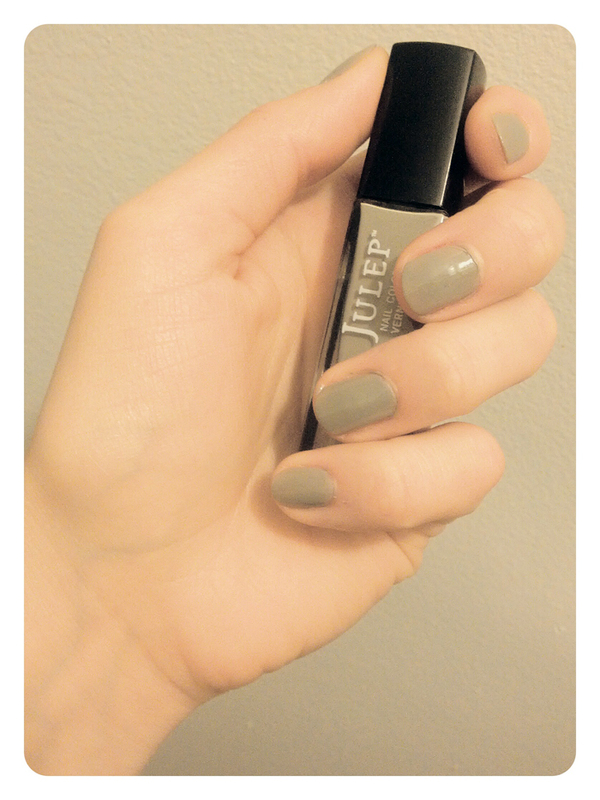 I have fallen in love with Julep. I knew I would. This polish is made in the USA, free of toxins (NO formaldehyde, formaldehyde resin, toluene or DBP), and not tested on animals. 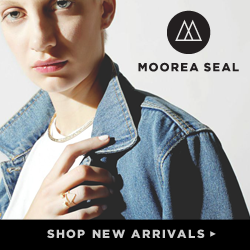 A percentage of all their sales go to organizations that empower women. Like I said, I have fallen in love. The colors in my intro box were Lisa and Petra. Lisa is a warm-toned greenish slate grey creme. I received so many positive comments on this polish color! The applicator brush on these polishes is soft and thick-bristled. It is a brush that, as a clumsy nail painter, I really appreciate. I managed to paint my right hand fairly well, though it took one more coat than my left. I’m looking forward to my next surprises from Julep! Next week I promise I’ll wear something not grey. I sure do love a good grey. This… isn’t that good a grey. Then again, this bottle of polish is probably a couple years old! So. Oops. The application was really streaky and took me about four coats to get the right look. That many coats means a lot of dry-time. I smudged my pinky two times before I finally gave up on it altogether, and I only did one nail of my right hand. But that’s trendy, right? I don’t know what I’m talking about. 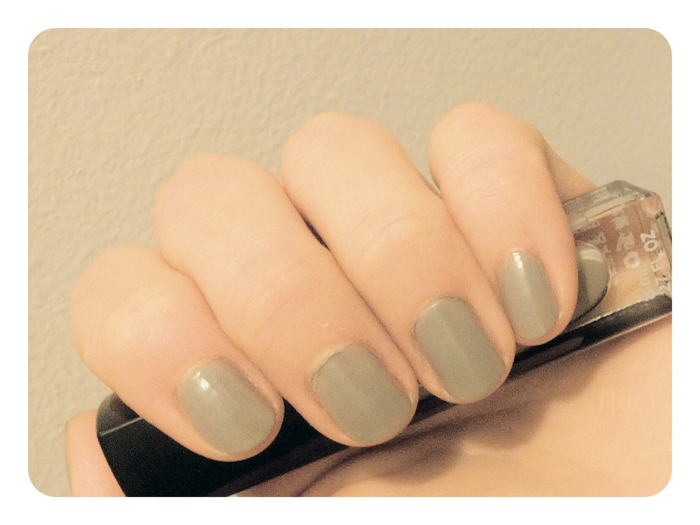 The top coat is Wet & Wild Wild Shine clear coat (which is my drugstore animal-friendly go to). Oh. I really like this filter on my phone. I guess I’m on the look for a new creme grey. I’d love suggestions, because it’s something I would wear all the time. I want to splurge on some Butter London polishes; maybe Billy no Mates would be a good investment?